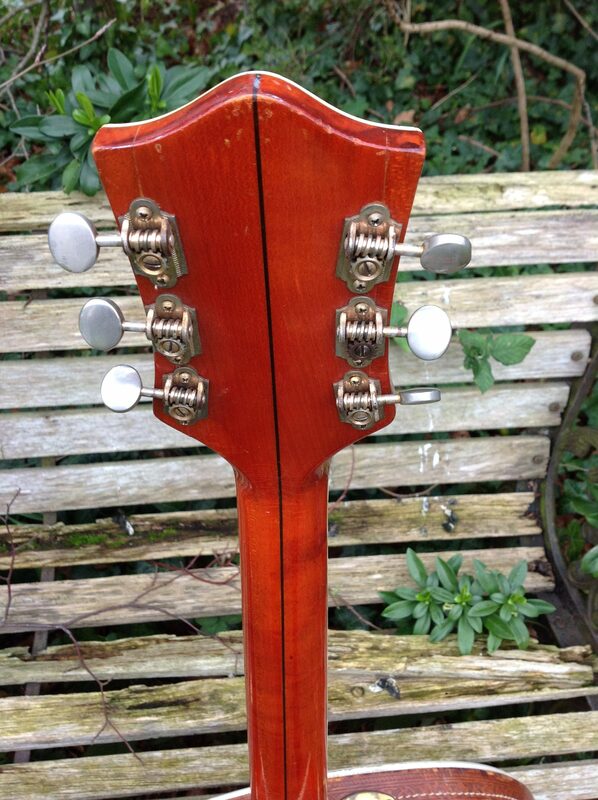 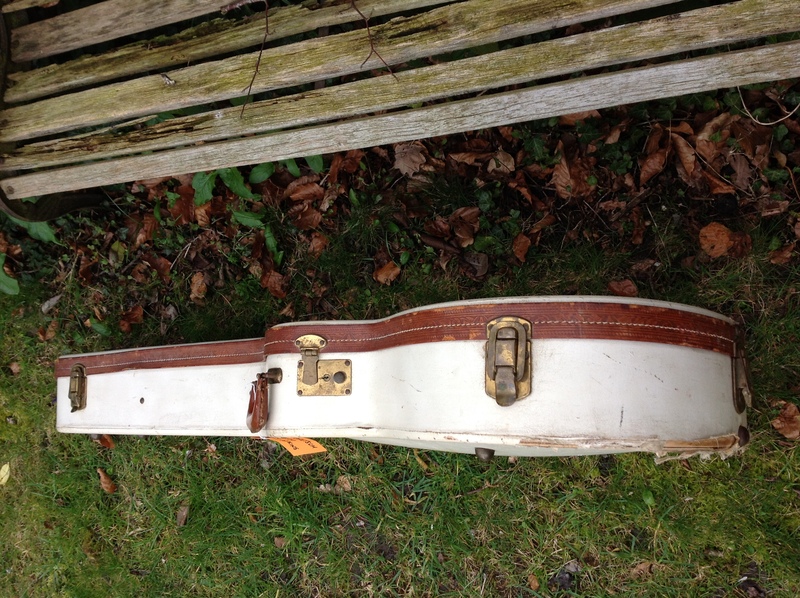 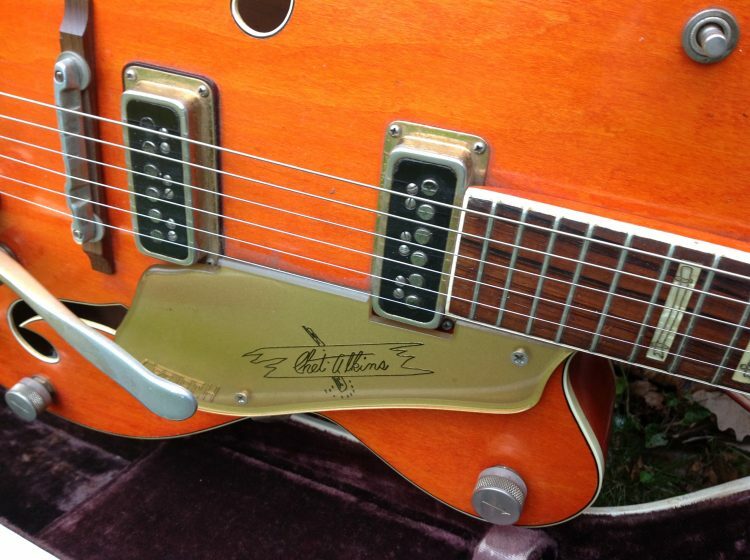 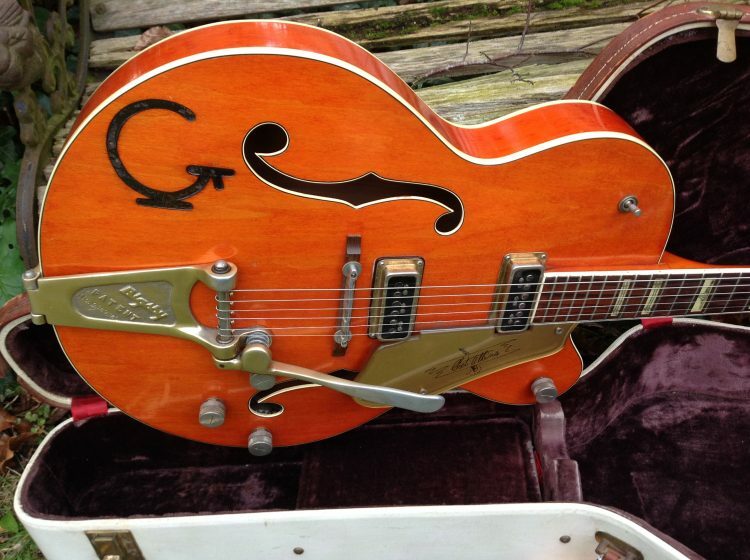 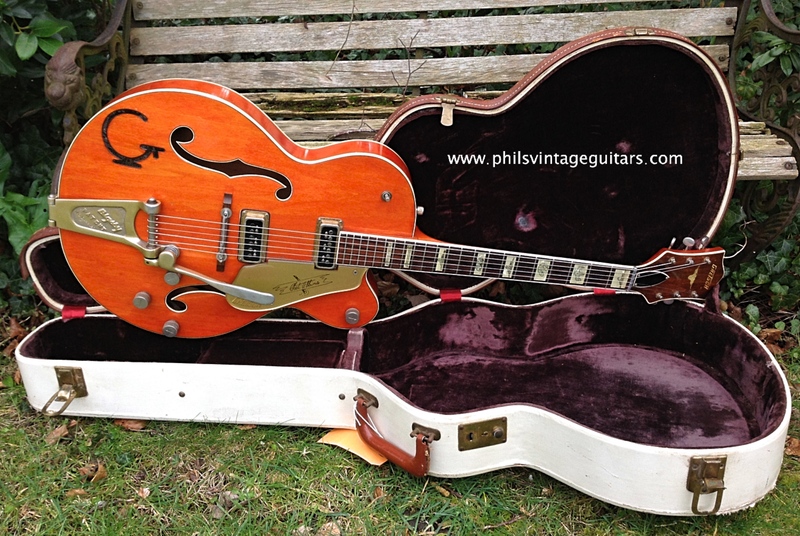 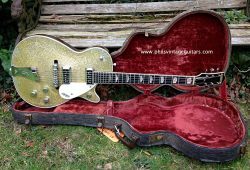 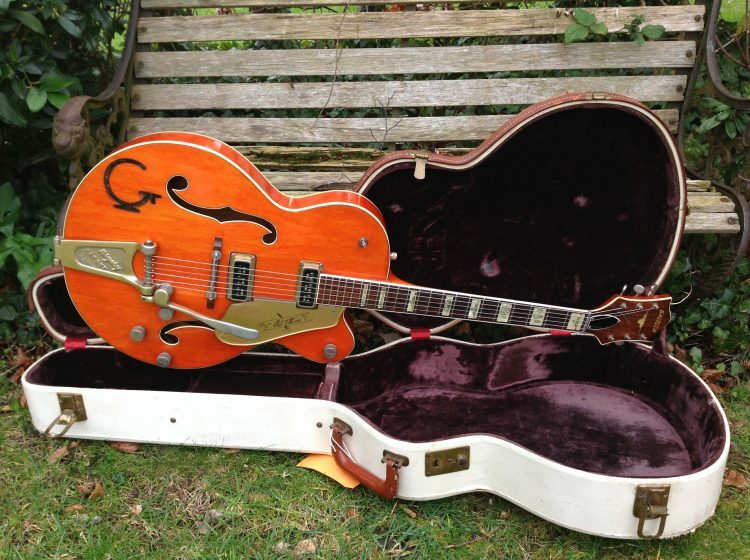 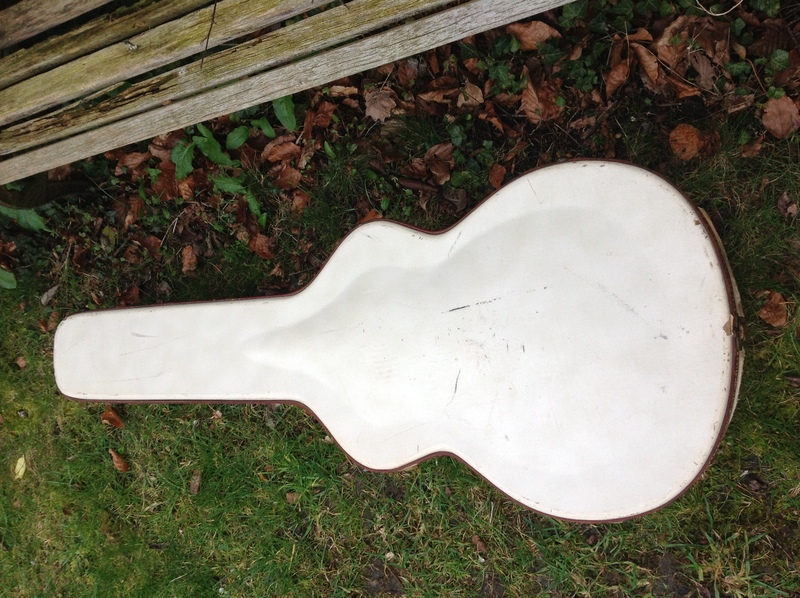 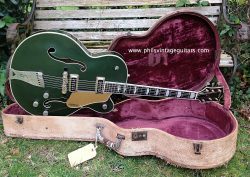 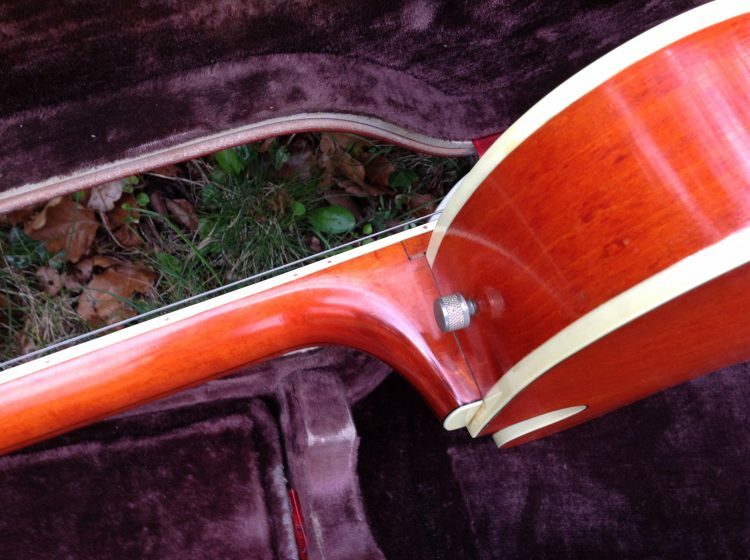 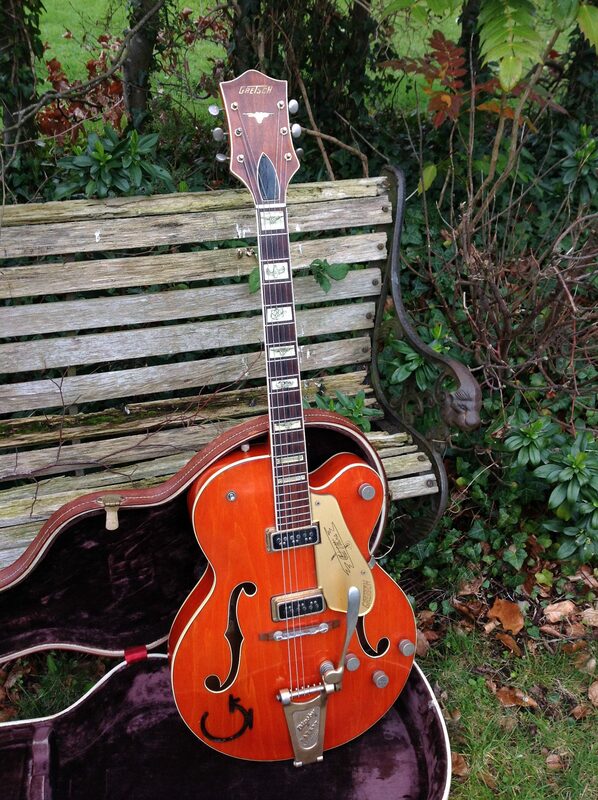 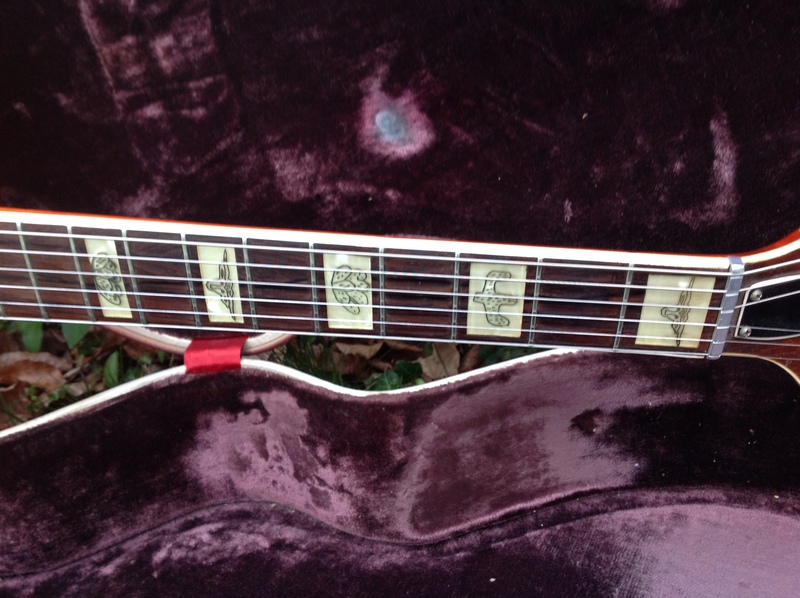 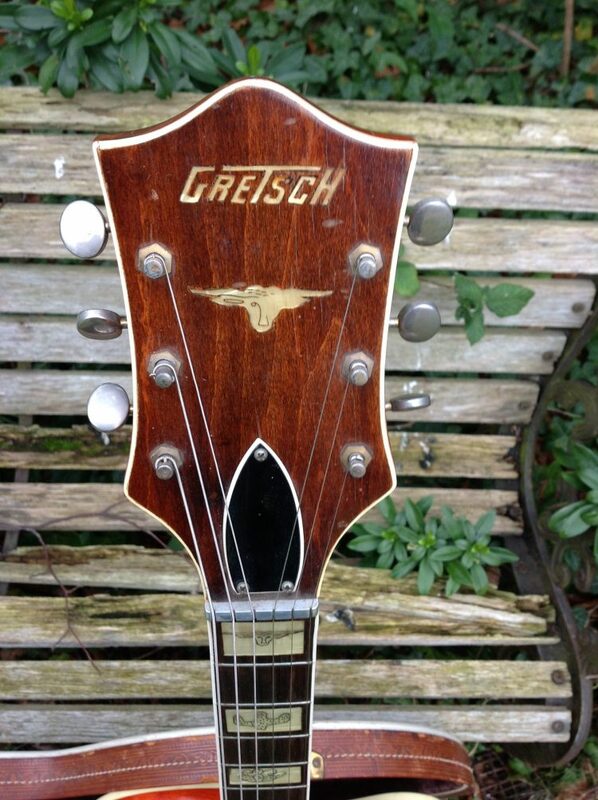 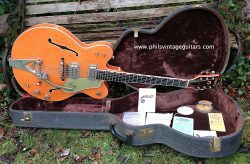 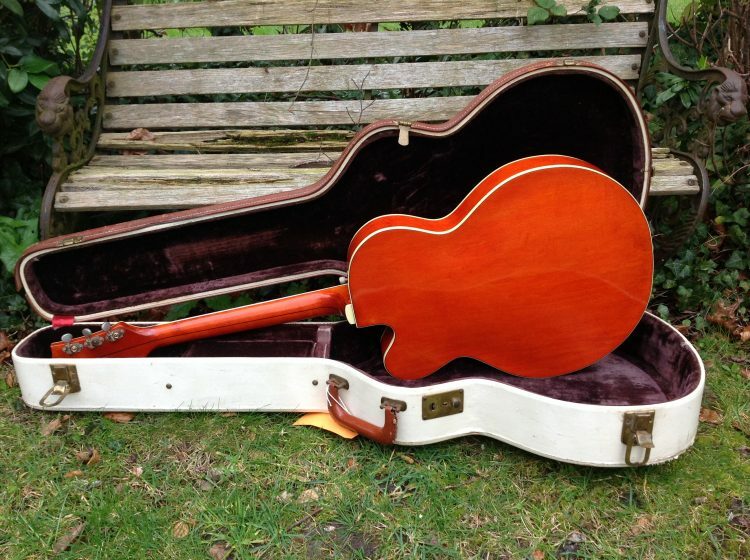 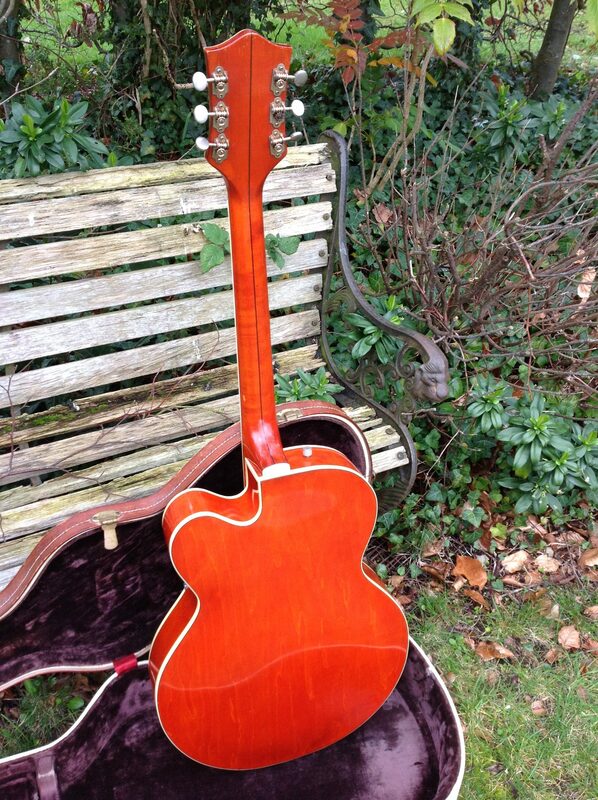 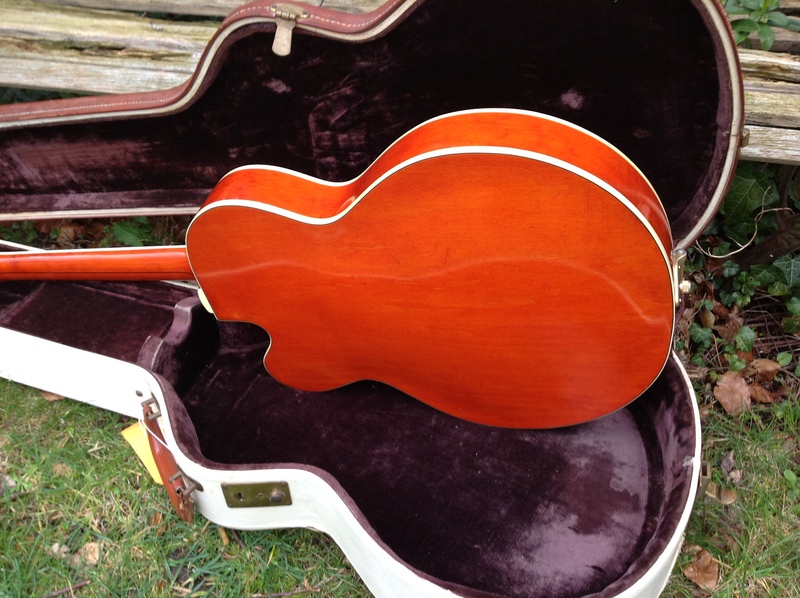 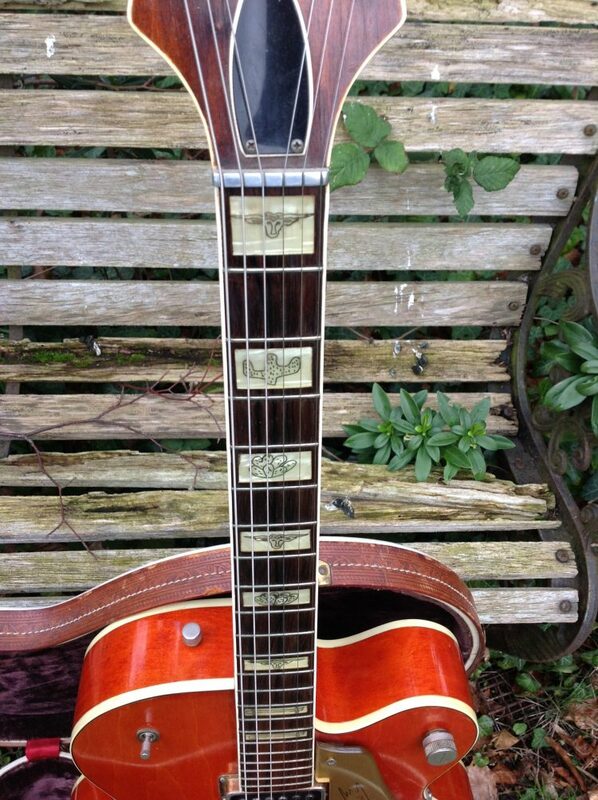 This Gretsch 6120 was manufactured at the end of 1955, it has all the features for a first year guitar bar the truss rod cover which is now the longer version for 1956 rather than the “bullet” cover that is only seen in 1955. 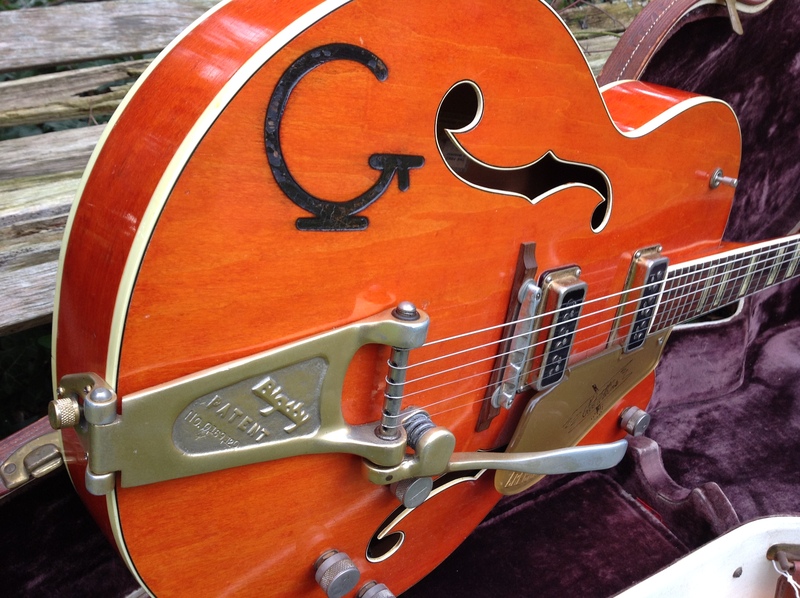 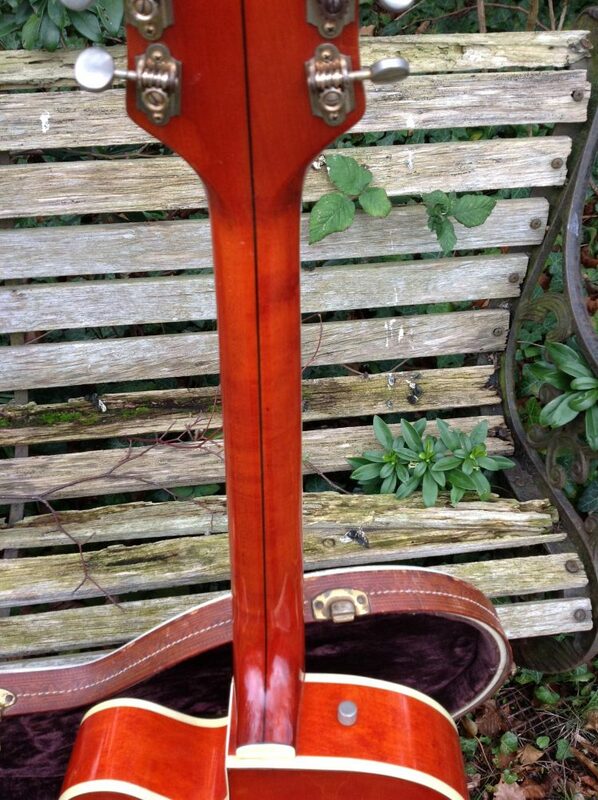 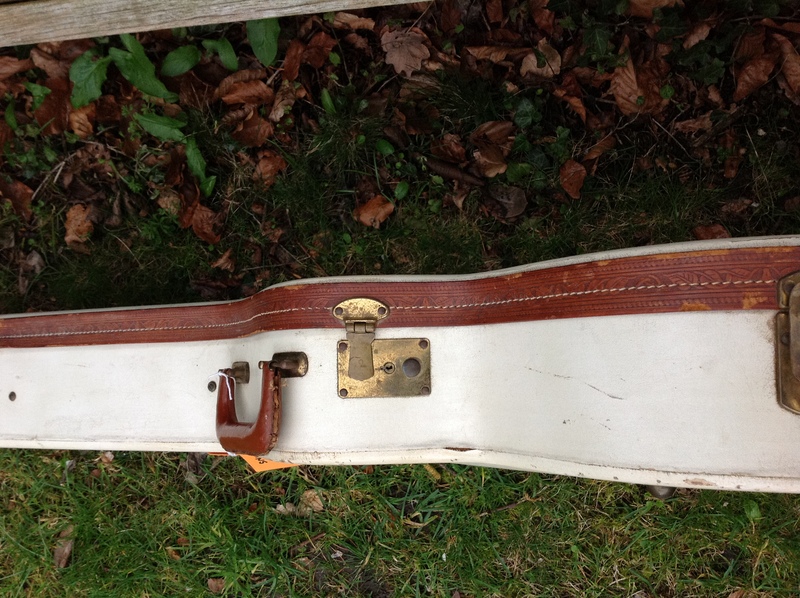 Importantly it has the fixed arm anodised Bigsby tail piece that these are famous for. 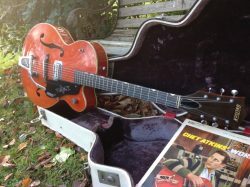 The pictures do the talking really, it must be the cleanest 1955 6120 on the planet and that includes its Cowboy case.